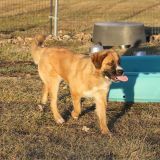 Vega was surrendered to HUA because she has a great love for chicken chasing. That behavior was not appreciated by humans who had chickens in their yard and Vega was not about to quit the habit. 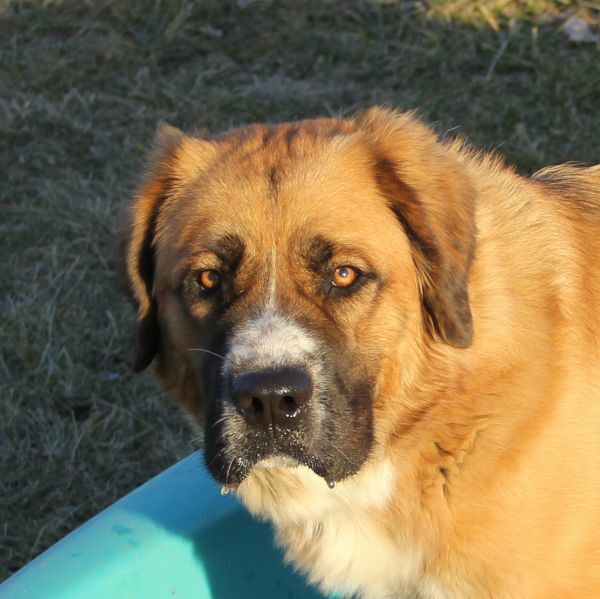 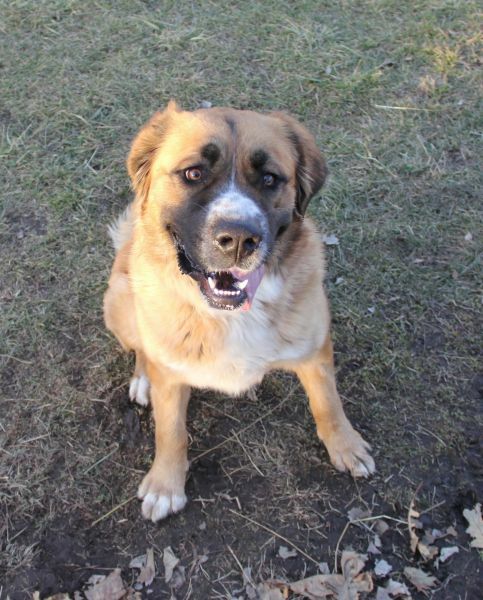 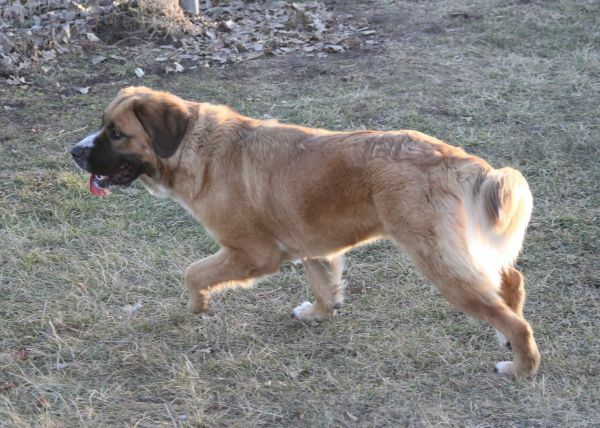 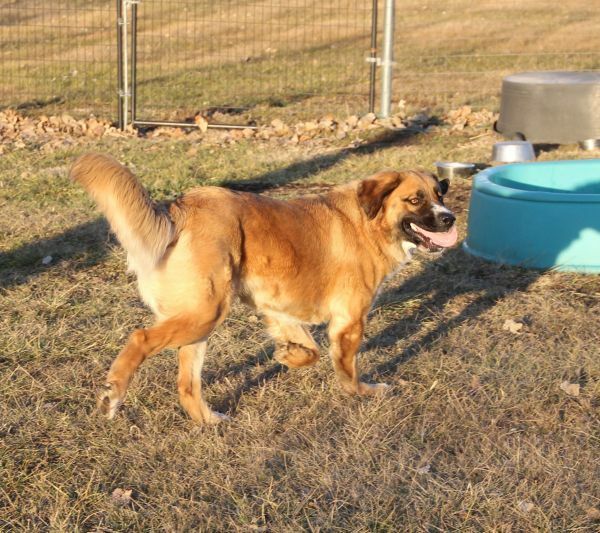 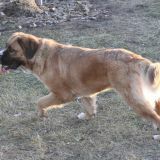 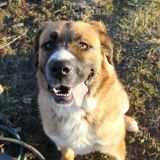 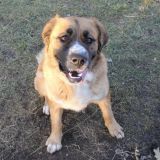 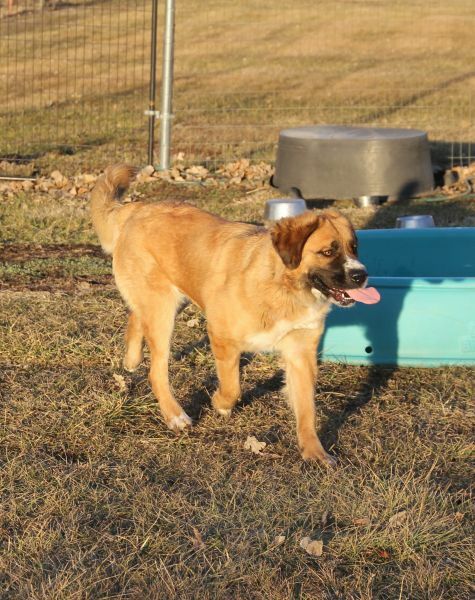 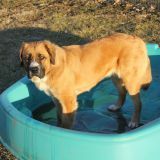 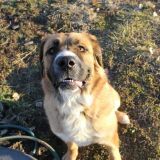 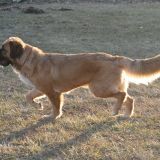 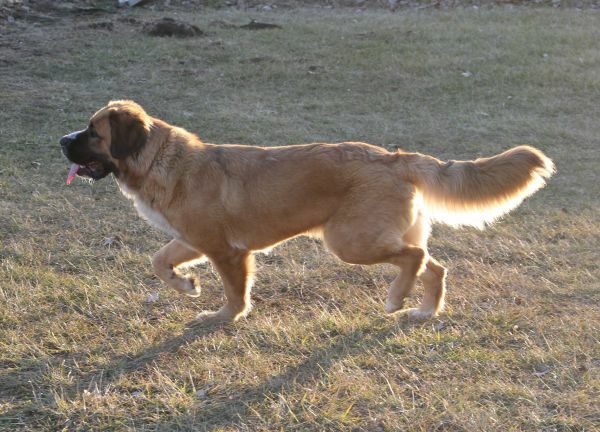 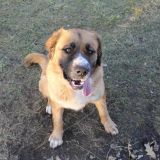 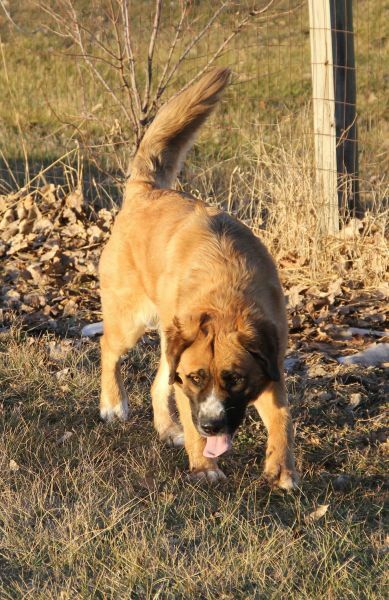 What we have here is a goofy, silly, gorgeous St. Bernard mix who is a delight. 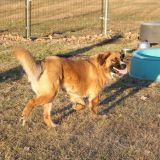 She is enthusiastic, friendly, happy, and apparently part fish. 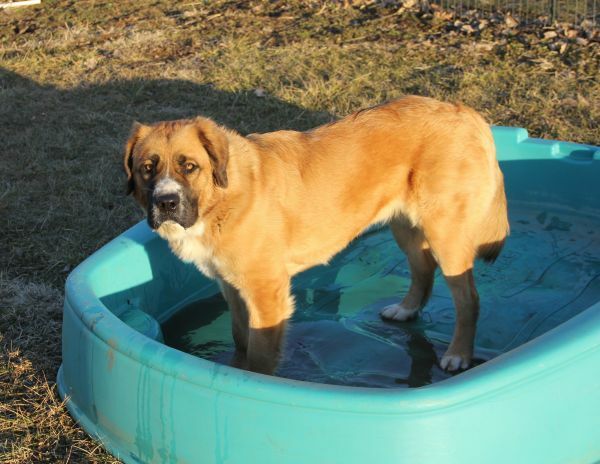 Vega wants to swim in the pools out in the big yards quite badly but has been told she must wait for warmer weather. 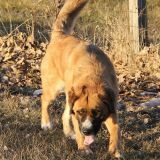 We are working on her leash skills as she is a strong girl determined to get to where she wants to go. 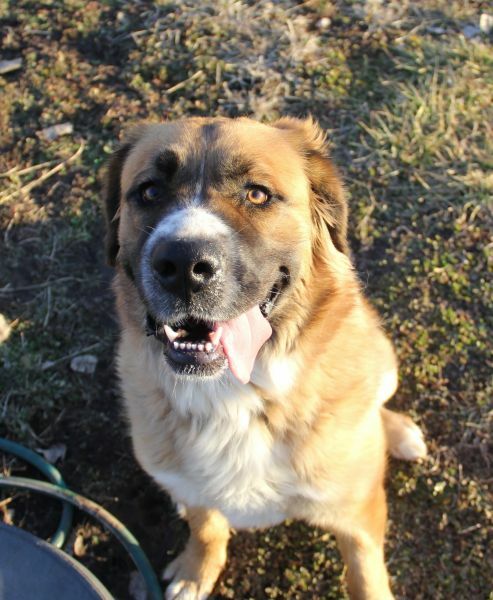 Vega is so sweet and perky, and we know she will be a very fun addition to a lucky family.